And this time, I’m echoing Steve Carrell. I love lamp. I mean, uh, I really really like lamp. When Robert and I were planning our wedding years ago, I was hooked on bird decor anything. Okay, you caught me. I’m still hooked on bird decor anything. So birdcages, natural branches, nests, robin egg blue, vintage bird prints, and that sort of thing are right up my alley. 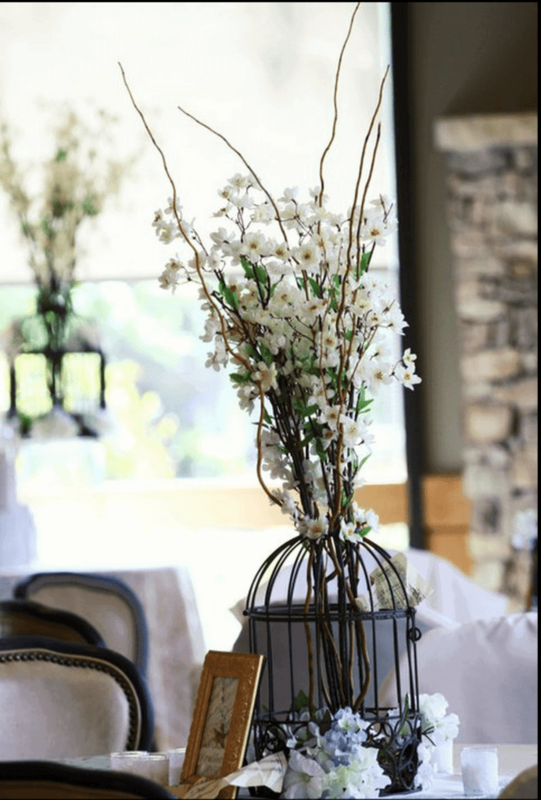 For months, I collected vintage birdcages to use as our wedding reception centerpieces. I had saved two of them to use in our house after our wedding. 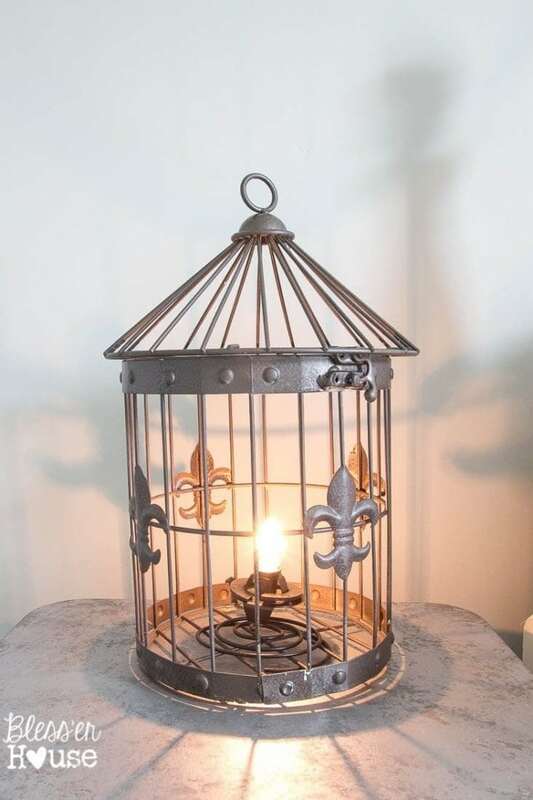 When I tried to find a sweet lamp for Olivia’s “new” nightstand, I had the idea to turn one of the cages into a lamp. 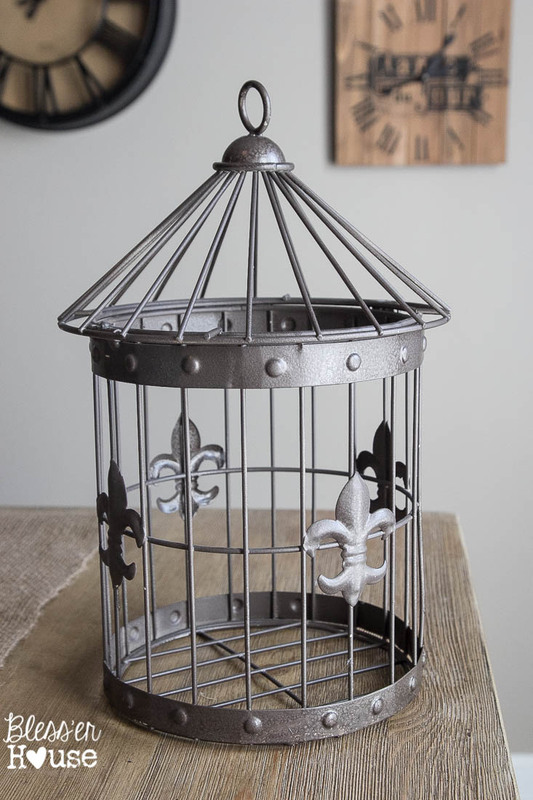 I figured the fleur de lis on this one would be great for her already Frenchy vibe room. The only problem was I really lack electrical skills. Wiring a light takes time and effort, and quite frankly, I wanted a quickie solution on this one. So, hey, I decided to kill a cartoon character instead. I’m sorry, Minnie. It’s not you, it’s me. 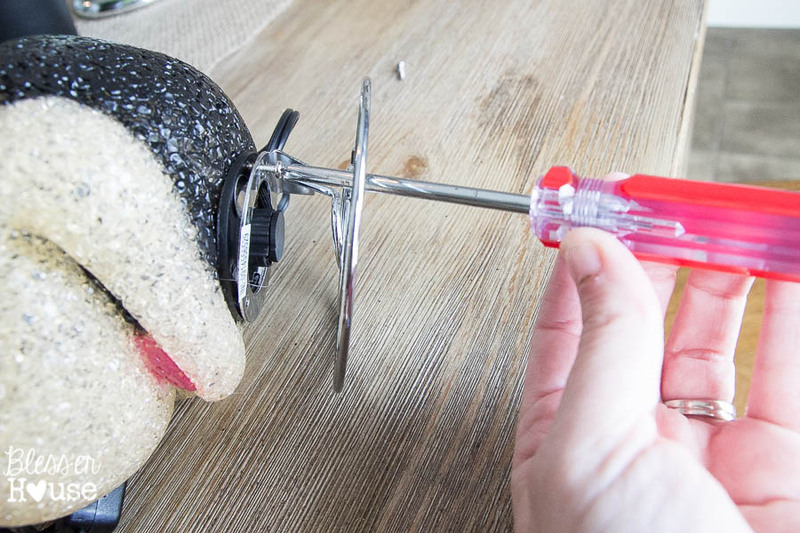 All it took was a small screwdriver to separate the light from the plastic head. And bam! 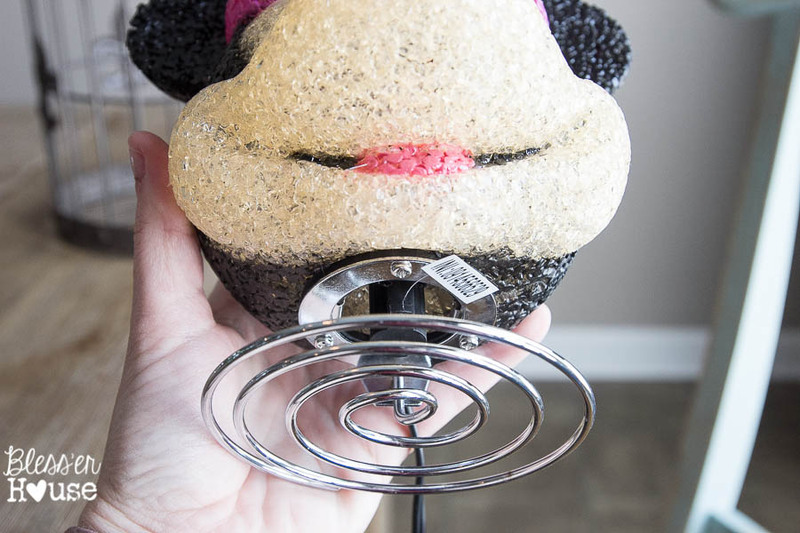 One decapitated Minnie Mouse later…I had my lighting kit. I taped off the cords and socket with a little painter’s tape and gave the metal part a coat of spray paint. I used Rustoleum Oil Rubbed Bronze (my favorite). 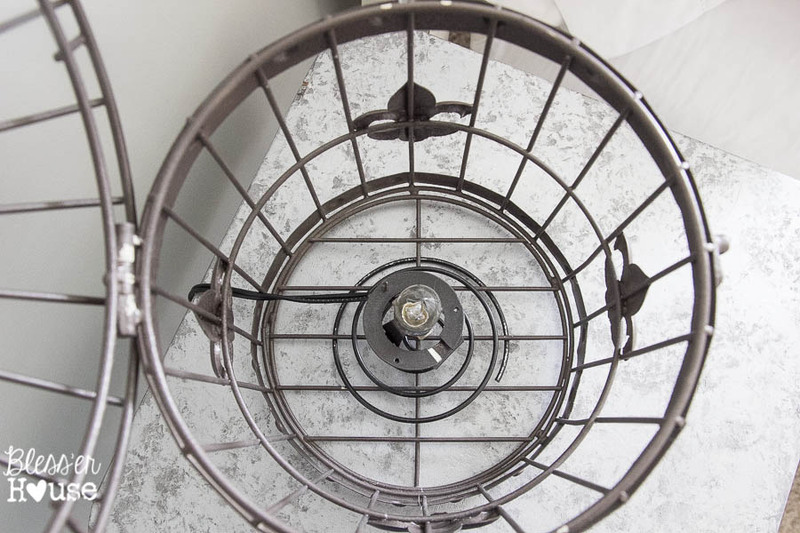 Since the light had a spiral stand, I just twisted it into the bottom of the birdcage. No fancy hardware or anything! And plugged in the sweet new lamp. This was barely worthy of a tutorial, huh? But there ya go. So easy. It turned out to be exactly what she needed beside her bed. This might be the last of the sentimental decor in here. 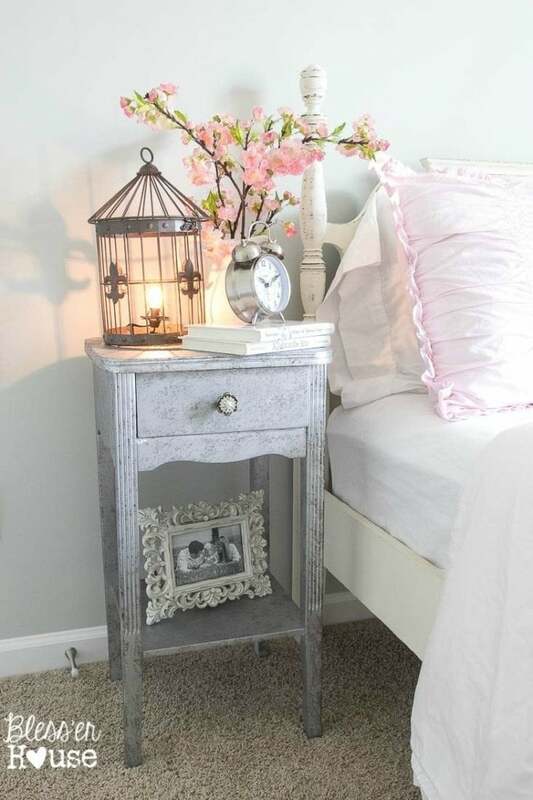 How many lovey dovey pieces you think a bedroom can take? 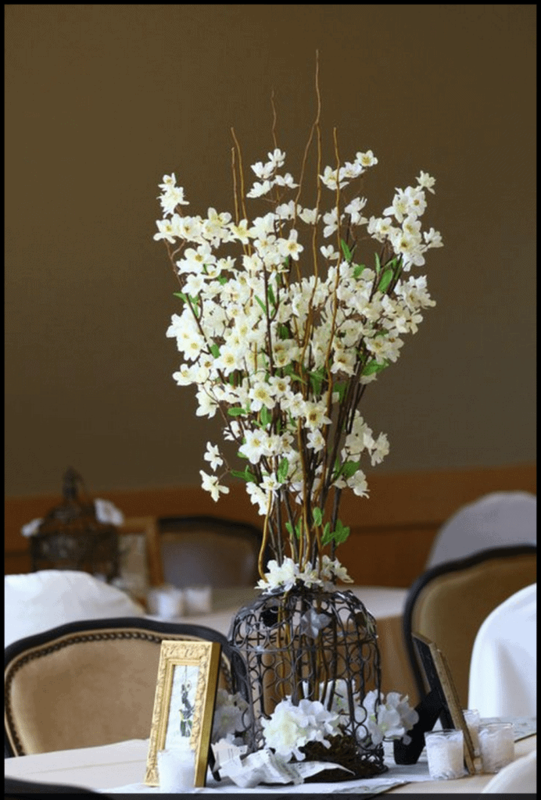 It was a fun way to reuse one of the few wedding day items we have left. So do you love lamp too? Or are you just shocked and appalled that we murder cartoon characters at our house? 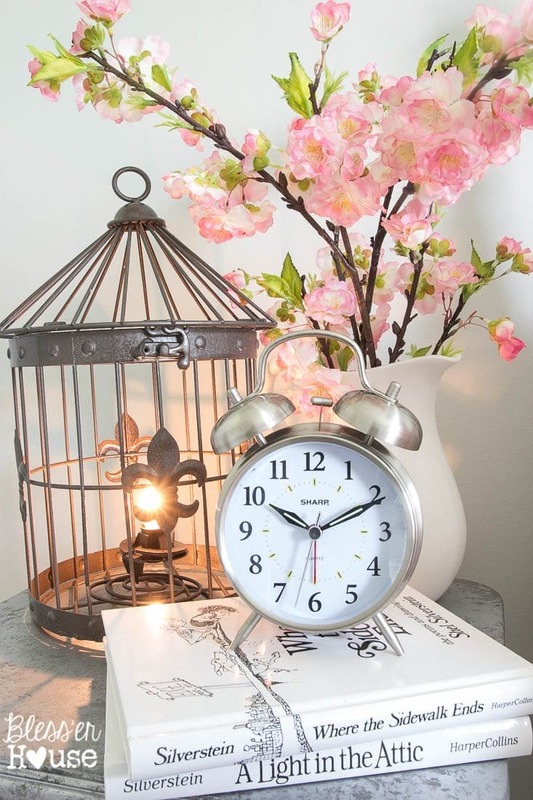 Update: See the full bedroom makeover reveal here! Clever…just clever! 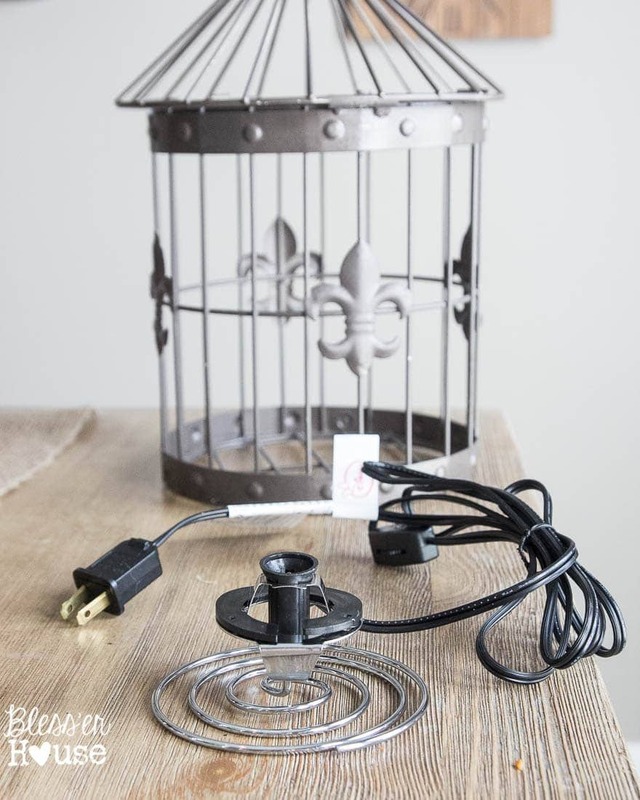 I love anything birds, including cages…can’t wait to make this! So glad you like it, Joan! If you end up doing it, I’d love to see it! Thanks so much for taking the time to comment, Kathy! I love getting them! 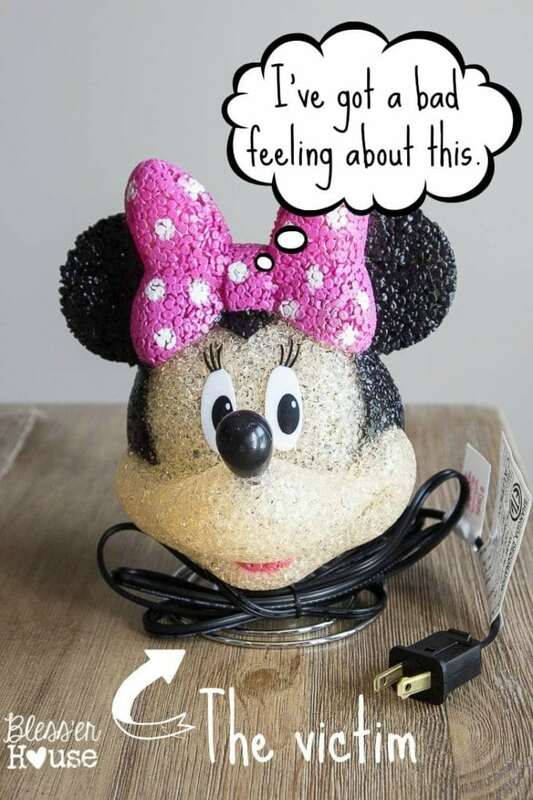 Poor Minnie. She may never forgive me. Lauren! I swear , you’ve gone& done it again! Yet another awesome idea!! 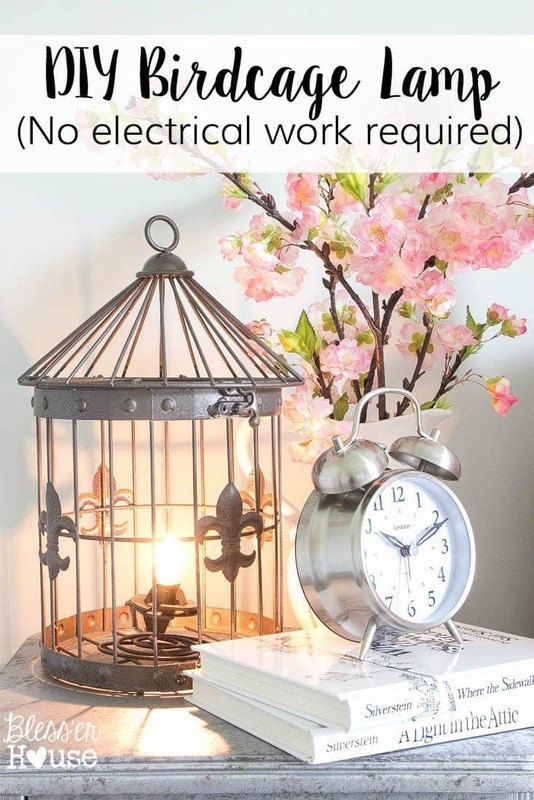 And my hubby just bought me my first rustic birdcage for our new home! Also do not ever think the people in blog land don’t need a tutorial..! I love the simpler quicker ones because then I have hope that I can pull it off!! Thanks, Eve! That hubby sounds like a keeper. 😉 And you’re totally right. It’s often the really easy projects that I like best too. Well well well, look at you go! Impressive how you always find great adaptable ways to produce cool ideas. Very impressive……love it! You always have the best projects Lauren. I LOVE this!! How beautiful! I really love this. Very clever using the electrics from another lamp too. 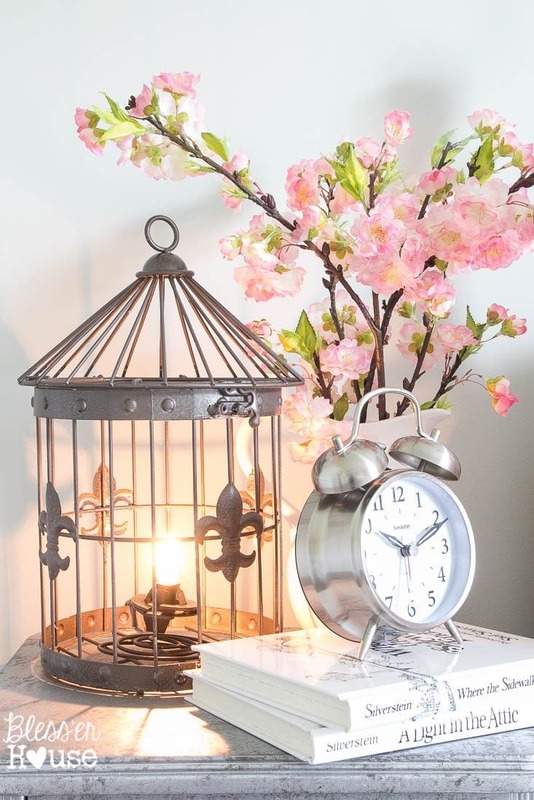 Your birdcage lamp is so romantic! And simple to make, a win-win! We have an old batman light like your mini-mouse light that is just sitting in the top of my son’s closet..never thought to repurpose it. Thanks for the fun idea! Thank you! So glad it could give you an idea! I love finding new uses for things just sitting around in our closets. Another brilliant idea! I love when there’s sentiment in a room- everything becomes so much more meaningful! Totally agree! I never have the heart to throw these kinds of things away. It’s always wonderful when we can figure out ways to repurpose them. Adding you on the mailing list now, Ruth. 🙂 Thanks! They’re so easy! I want more of them. 🙂 Thanks, Mary! I totally want to do this project. What a cute idea!! I LOVE it! I love the lamp!! Beautiful! Question, how tall is the birdcage you used? I want to create something similar, but trying to figure out how tall of a birdcage would work. Thank you! I have a wooden bird cage, would that be too much of a fire hazard?